Join Us for Reiki Training right here in Knoxville, Tennessee. Shanti Yoga Haven Teaches All Levels of Holy Fire Usui Reiki Certification and Qi-gong Training Exclusive to Yoga Haven. Have you been told or identify with being an Empath, Lightworker or Healer? Do you feel like you need deep connection with the Universe or feel like you are searching for Purpose? In Japanese, the word "Rei" refers to the pure Source of all existence and a higher intelligence that permeates all living and nonliving entities and guides the inherent functioning of the Universe. The word "Ki" refers to the Life Force energy that vibrates everything into all the forms that exist. It manifests through everything that is alive, including plants, animals, and human beings—because of this, ki is also often called "life force energy," and is known as Qi or Chi from other lineages. ​The combination of these two words is what defines Reiki as "spiritually guided life-force energy." ​To reserve your spot in Reiki Level 1, you can purchase below. If you are just starting your journey, welcome! You will be guided and initiated safely and joyfully. 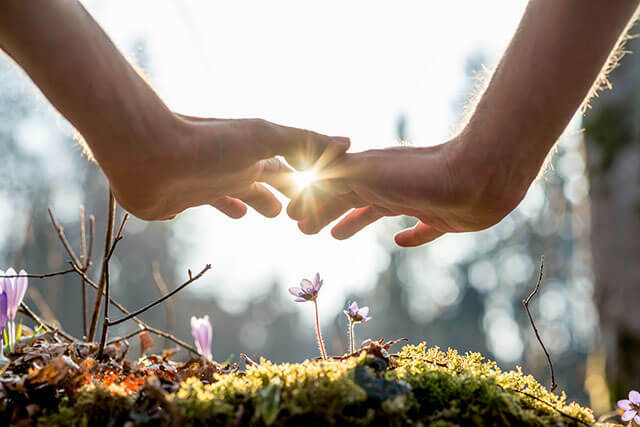 If you feel you are ready to immerse yourself in the healing arts to enhance the quality of your life, and that of others, please join us for our Reiki Weekend Training Certifications. You've been told or identify with being an Empath, Lightworker or Healer. You feel like you need deep connection with the Universe or feel like you are searching for Purpose. You feel Called or have been nudged by the Universe. You’re intrigued by Reiki, Energy Work, or EFT. You’re interested in learning more about the power of energy healing, and are ready to really dive in and grow. You've heard about Medical Qi-gong or the Universal Principles or Laws and want to learn more. Not taught by any other Reiki Master Teachers in the Knoxville Area. As an added BONUS to YOU, Shanti's 25 years of practice has been aided by these two BONUS teachings. Aligning your Chi or Qi with the Chakra System or other energy work is key to manifesting the life of your dreams. Qi-gong and the Universal Laws untangle the web of unmanifested dreams and roadblocks and offer a new perspective to work with the Universe to achieve your goals and experience true forward movement in life. Access Reiki to powerfully direct it. Seal & protect your energy. Ground and Balance your fields. Help others clear their energy, reduce their pain, induce deep relaxation states. Scan and flow energy for specific purposes. Various Reiki techniques to help others in their healing processes. ​After Reiki Level 2 Certification, you can officially set up a practice of Reiki Healing Touch to help others regain health by helping them reduce inflammation, reduce pain, increase circulation, enhance their sense of well-being and more. Reiki is being used in various hospital around the US, and there are countless stories of its efficacy. Reiki Level I is a pre-requisite for Reiki Level II. Once Certified in Reiki Level II, you are qualified to enter into the Master Level of Healing Practice of Reiki Level III and is a pre-requisite for the Reiki Master Teacher Level IV. At the Master Teacher Level, you may choose to teach and "attune" others to Reiki. You will be "attuned" to Holy Fire Usui Reiki, and Initiated by Rev. Shanti, Holy Fire Reiki Master, Medical Qi-gong Practitioner, Intuitive Counselor, Yoga Therapist & Transformative Coach. This course combines your Advanced Reiki Training and the Complete Usui Holy Fire Master Teacher Training into One 3-Day Intensive Course. Level 3 can be taken independently. This training is a powerful healing experience for those who attend and those who receive the grace of your training. To qualify to take this class a student must have taken Reiki I & II and practiced Reiki II for at least 6 months. Also, a student must be able to draw the 3 Symbols from Reiki II from memory.